It is designed to resonate at the same frequency as healthy organs between 0.1 – 100 Hz in order to upregulate and optimize the functioning of all the organ systems. 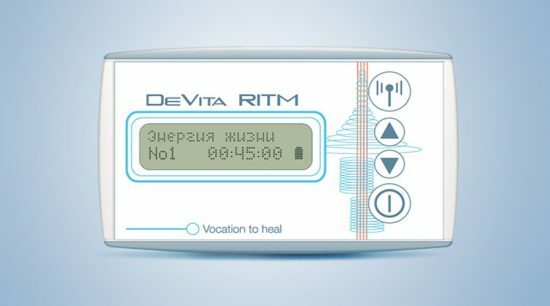 The DEVITA RITM works by correcting and restoring the basic functions of the body when it is exposed to low-energy electromagnetic vibrations, working in frequency ranges of 0, 1 Hz to 100 Hz. 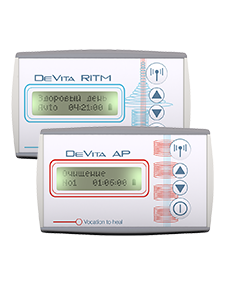 The difference between the DEVITA RITM and the DEVITA AP, is that the RITM is for upregulating and balancing organs and physiological systems of the body, while the DEVITA AP is specifically for eradicating parasites, bacteria, fungi and viruses. 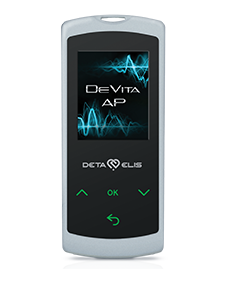 The ideal is to purchase both together – the DEVITA RITM may be used in the morning and the DEVITA AP at night, under the pillow. This way you will be eliminating microbes while helping to balance organ systems. 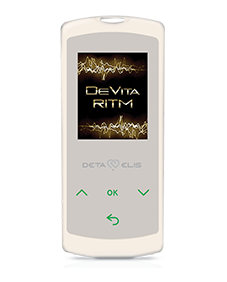 Another important device to purchase is the DEINFO USB programming device that contains over 1,500 programmes for the DEVITA RITM. 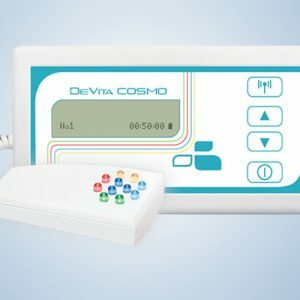 This way, you will get the full benefit of the DEVITA RITM as you will be able to programme the device to suit your specific health needs, as opposed to relying only on the 30 pre-installed programmes. So the ideal combination for having a “Family Doctor” in the house is to purchase the DEVITA RITM, the DEVITA AP and the DEINFO USB programming stick – this gives you tremendous versatility in helping many different health issues. Please note that from May 2016 all DEVITA AP devices will have the new set of pre-installed programmes listed below. These programmes contains many frequency sets per programme in order to effectively eradicate a number of difficult micro-organisms commonly encountered in everyday life. Please note, that in order to view and work with these new programs, it is necessary to update the DEINFO USB which only takes a minute and is really quite simple to do. 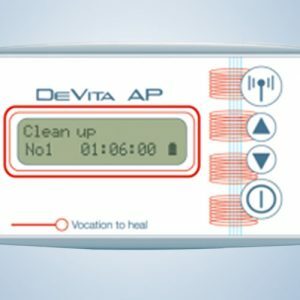 From May 2016 all DEVITA AP and RITM devices come with new pre-installed programs. In order to program these devices with the new programs, a simply UPDATE of the DEINFO USB is required. 4. The UPDATES window will open and you will see updates for the Base Program (top window) and the Main Program (Bottom window). Click on LOAD in each window to download the updates onto your USB stick. 5. Now close down the DEINFO completely and reopen it.